On Labor Day my daughter took our first jump. She got me it for my 62nd birthday to check off my bucket list. It was the most intense adrenaline rush I have ever experienced. James and Amber (my daughters tandem partner) were very professional and made our jumps fantastic. We will be back again and hope to bring a group with us. Tremendous experience. Highly recommend Skydive Tecumseh!! One of the best experiences in my life. The staff is super friendly, very experienced, and they make you feel very comfortable. I was super nervous the first time I went but when I got there my nerves only started to calm down more and more as I watched about 30 people land safely and gracefully before it was my turn. All of my friends who have gone skydiving have chose Skydive Tecumseh, best place around. Super great time and very reasonable prices for jumps, photos, videos, and more! I went skydiving for the first time a few weeks ago. Skydive Tecumseh was extremely professional and made sure we all had a safe but exciting experience. Even though we had to wait most of the day for cloud coverage to clear, we understood that this was for our own safety and were very glad the staff didn’t try to rush anything. Our tandem divers were all excellent and made sure we felt safe and that we had a ton of fun. Also very much enjoyed the BBQ stand in the waiting area so we could purchase some excellent local food while we waited. Great experience, would definitely reccomend to others and will definitely be going back myself! I’ve been here 2 times now and both times have been the experience of a lifetime! I plan on going again next summer as well. When people ask “why jump out of a perfectly good airplane” I reply with “because it’s a perfectly good plane to jump out of! !” The people here are amazing and every time someone is looking for a good place, skydive Tecumseh is the only place that I recommend. I also like the fact you can donate the little bears too!! This was a great experience! The staff were friendly, the TI (Amber) was informative and made it fun. I felt very safe and in the care of a qualified and capable TI. Skydive Tecumseh has been around for over 50 years and I can see why. This is a fantastic place to check off one’s bucket list, have fun with friends, and do something exhilarating. I highly recommend it for anyone who wants to have a chance of a lifetime. I’ve been wanting to skydive for a number of years and on September 3rd for my 50th birthday, I jumped with Skydive Tecumseh. The staff was amazing! The people were helpful and answered any questions I had. The experience was unbelievable and I will be back. A special thanks to Jason who I jumped with who was thorough and confident during the instructions and on the bumpy ride up that when it came time to jump I had no worries and no hesitation. I got the deluxe video / still picture package and was not disappointed in the results, Thanks Jim! The experience with them was so enjoyable I am meeting this Saturday with a local skydiver on insight and the possibility of working on becoming licensed to jump on my own eventually. 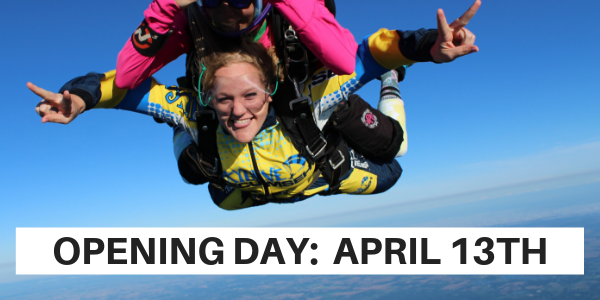 I would not hesitate to recommend to anyone interested in skydiving to jump with them.